To the theater, I brought along three others, one who had not read the books. The other two were more harsh than I, having just read the books recently, and (though still loving the movie) missed some components of the book. So just a heads up that there is no Madge, no Avox servant girl, the dogs do not look like the dead tributes, and no one eats lamb stew. These small things that my companions had noticed and were bothered by did bother me a bit but I realized that with a long movie (about two and a half hours long) they had done what they could. Gary Ross stayed so true to the books that this may have been one of the best book adaptations ever. I enjoyed the movie so much. The acting was amazing! 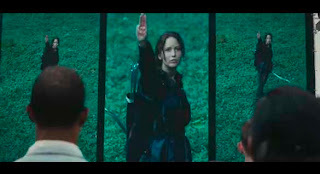 I admit that I had my doubts about those cast as Katniss, Peeta, and Gale: but I take it all back now. Katniss played by Jennfier Lawerence is able to carry the scene just with the power of her eyes. I saw her previously in X-Men First Class with James McAvoy and she did well with the role but if you really want to see her in action, watch this movie because her skills have improved so much so since then. Josh Hutcherson was never the innocent, bread boy type. Even now that after I saw the film, I still can’t picture him like that but on screen, he brought Peeta to life. He may have over-acted in some scenes with too much emotion with such a small line but he worked with it because he won me over from the first moment that Effie said his name. Now Liam Hemsworth is a mystery because Gale wasn’t really supposed to show up much at all in the first film. He had more screen time than in the book for the main reason, I assume, of creating the basis of the love triangle that seems more dominant in the third book, Mockingjay. Hemsworth rocked it and he is another, you can tell the emotion, with just a look on his face. 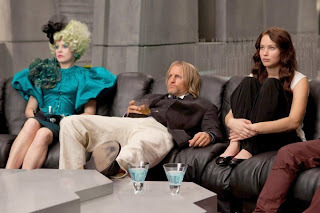 Not only did those main people acted so well but roles such as Cinna, Haymitch, and Effie truly seemed like the people from the pages of the book. The other companion who hadn’t read the book was a bit confused with a few things. The previous relationship with Peeta and Katniss with the bread was not entirely explained even though I loved what they did with those scenes. It may have helped, though, to have a whole flashback instead of just flickers to tell what happened. 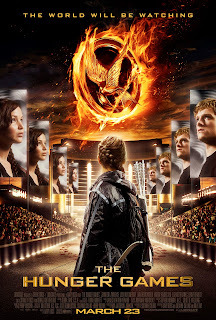 Overall, this movie will definitely stand tall next to my bookshelf that holds The Hunger Games. The main question: Did Ross and his team make an awesome book adaptation? YES! Go see it if you’ve read the book because you will love it. I loved every minute of it and the time went by so fast that I just want to go see it again and again to experience The Hunger Games once more. 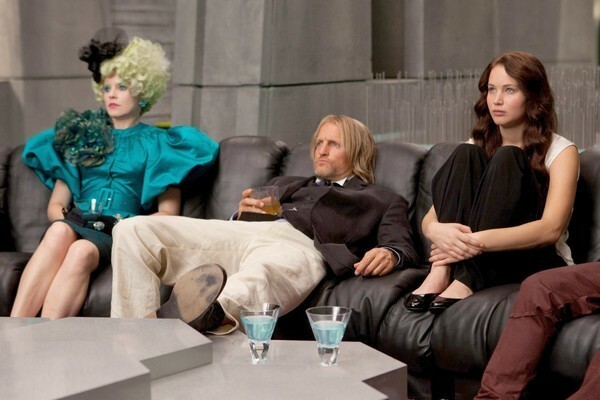 So have you seen The Hunger Games yet? Did you like it? I have the movie at home now thanks to a 'friend' and plan to watch it tonight. Sadly, I have not read the books yet. I will, but first to the movie! At least I don't have to stand in a line to see it. The film doesn't really get going until they actually do get to The Hunger Games, but when it does get started up its entertaining, tense, unpredictable, and very well executed from Gary Ross. I also couldn’t believe that this was his 3rd film after other flicks such as Seabiscuit and Pleasantville, which are both good but are different from this one. Still though, great jobs from everybody involved and I cannot wait for the sequel. Good review. I had many of the same thoughts as you. I was fine with the things that were left out. But I wanted more Peeta time. My brother hadn't read the books and the bread scene confused him too. I'm going to see the film tomorrow. I'm really excited about it because I love the book. I'm glad that it doesn't disappoint other than the bread scene. Luckily, we have all read the books so won't be confused by the bread scene.